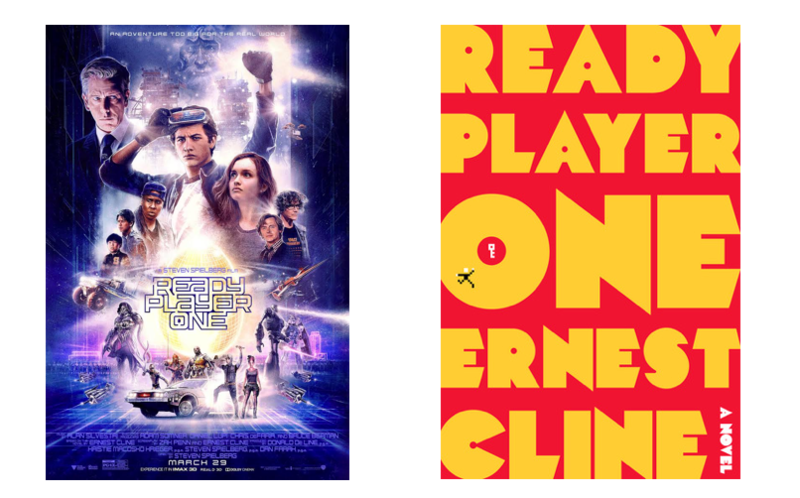 Last week, right before the movie came out, I finished listening to the audiobook version of Ready Player One, narrated by Wil Wheaton. The narration is great, fun, and I felt like Wil Wheaton is Wade Watts! I would highly recommend listening to it if you're up for a sci-fi book, especially if you're a pop culture junkie. So many references, I couldn't keep track! The movie is a good effort towards taking Ernest Cline's vision from the book and turning it into a movie. I was wondering how the movie was going to be made because of all the licensing and copyright issues with every single thing mentioned in the book. I'm sure it must've taken a lot of back and forth between many many different people but in the end, there was a good deal of pop culture references that it didn't feel like the movie missed out on much. What the movie did miss, the plot, it was so different that it felt like the book was used as a environmental setting, introduction of characters, but…it completely missed some of the important pieces. Tye Sheridan plays Wade Watts in the movie and I have nothing against him but I think the casting should've gone with a more appropriate actor to play Wade. A husky, nerdy, and maybe awkward kid would've done a better representation of Wade from the book. What follows might be spoilers if you haven't read the book or seen the movie but I feel like they're important to compare. The movie completely ignored the clues from the book and I think that's a great approach, I felt like it was new clues to solve. I did like the reinterpretation of the Grail diary from the book in which it was just some sort of a written database into an actual building the characters walk into and on top of that, it was also very well digitized and a couple of scenes that were shot in it were truly futuristic. Some of the scenes were very well shot and produced, action scenes were new and exciting as the production team had a lot of freedom to work with since the OASIS is a digital world in which they can do whatever seems appropriate. Overall, I think it's a fun movie to watch and the book is different enough that they should both be given attention. The movie's interpretation is different enough that I believe it's almost a separate enough endeavor to just share names but not much else. Go read (or listen to) the book and then watch the movie!